Poppies are a beautiful short lived perennial that does well here in Vermont landscapes. They can be easily started from seed or you can purchase larger more established plants at local garden centers or nurseries. Plant them in the garden in a spot with full sun and well drained soils. They can tolerate relatively dry conditions as well. 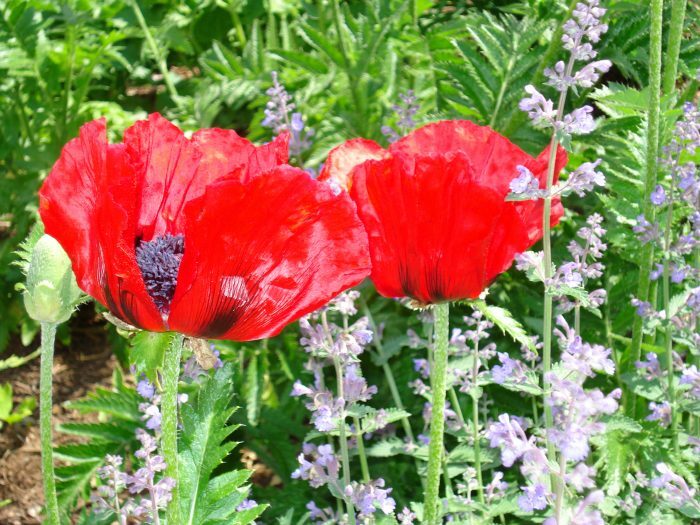 Poppies look best when planted in masses, but be sure to plant them in the back or among other perennials, as their foliage dies back to the ground after they have bloomed. For more information on growing Poppies check out American Meadows or to learn more about their use as a remembrance flower you can visit the VFW or American Legion sites as well.